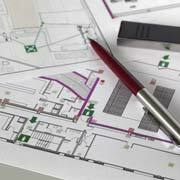 Prepare 2D drawings for evacuation plans of a building/property with markups in PDF format. Provide these drawings in a cost-effective and accurate manner. Meet their timeline which required completion of this project in a relatively short period of time. Additional training for the team to ensure everyone fully understood the specifics of the requirements within Australia. Reduced turnaround time due to the longer upfront preparation time required for the project. A trial was performed at the outset of the project to ensure the team's performance matched the needs of the client. Feedback was solicited from the client to ensure the team fully understood the specific requirements of the project for the country in which the plans were being used. Five resources were assigned to work exclusively on this project to ensure it was completed smoothly and on time. The client provided hand-drawn sketches using the FTP details provided by the O2I team. The O2I team used Adobe Illustrator and AutoCAD to convert these sketches to 2D CAD drawings. Markup was added to the completed files based on client suggestions and then converted to PDFs for client review. In-depth quality assurance checks were performed at the completion of each plan to ensure it was accurate to the client's expectations and met the benchmarks established. As a result of the extra attention provided to the project by the Outsource2india team, the entire project was completed in full within 10 days at an accuracy level of 100%, exceeding the benchmarks set by the client. Combined with a total cost reduction for the client of 50% over similar solutions and the strong completion of the project, the client was highly satisfied and assigned additional work that resulted in 10 additional resources being assigned to the client's work. To learn more about Outsource2india and our 2D CAD drawing services and other civil engineering services, contact us today.